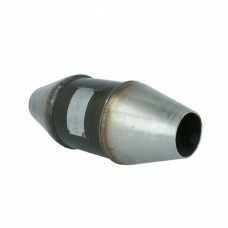 This Metal Catalytic Converter is perfectly suitable for exhaust system construction from 60 to 76mm. He provides a very good Filter performance with low counter pressure. Due to the conical shape of the connector it can be shortened until it has the right diameter for every exhaust system.